The Ram 2500 is the automaker's heavy-duty pickup. It's available as a three-quarter ton pickup (2500) or one-ton pickup (3500). The heavy-duty pickup is available with two engine options: a 6.4-liter V-8 or a 6.7-liter turbodiesel inline-6, which is offered in two tunes. Three cab configurations are offered: regular cab, crew cab, or mega cab; with an 8-foot or 6-foot-4 bed. Rear-wheel drive is standard and four-wheel drive is available. The newest Ram 2500 and 3500 made its debut at the 2019 North American International Auto Show in Detroit as a 2019 model year pickup. 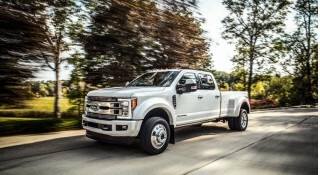 The new trucks have up to 1,000 pound-feet of torque and can tow more than 35,000 pounds, both incrementally more than crosstown rivals from Ford and General Motors. The Ram 2500 goes head-to-head-to-head with the other "cowboy Cadillacs," including the Ford F-250 Super Duty, Chevy Silverado HD 2500, and the GMC Sierra 2500 HD. 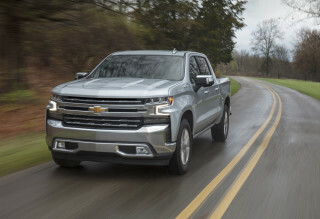 The fifth-generation pickup arrived in 2019, with a emphasis on comfort inside and capability outside. The new heavy-duty truck's numbers are impressive: when optionally equipped the 6.7-liter turbodiesel makes up to 1,000 lb-ft of torque, and can tow 35,100 pounds in a specific configuration. The 6.4-liter V-8 gas engine is the payload champ, it hauls up to 7,680 pounds in the bed in a specific combination. The new truck is available in Tradesman, Big Horn, Power Wagon, Laramie, Laramie Longhorn, and Limited trim levels, with escalating creature comforts and tech. At the top, a 12-inch touchscreen for infotainment, 17-speaker Harman Kardon audio system, five USB charge ports, and more leather than any other pickup on the planet. Active safety features such as adaptive cruise control, automatic emergency braking, and active lane control were available for the first time in the truck. The 2019 Ram 2500 went on sale in summer 2019. The Dodge Ram line of trucks is iconic these days, but before 1981 they didn't even exist—though both Dodge and the Ram emblem did, separately. In fact, the Ram emblem was first placed on the hood of a Dodge in 1933. Dodge's Ram truck was born in 1981, however, running until 1993 in its first generation. These first-generation trucks were simple, utilitarian affairs that modern truck buyers would hardly recognize. Nevertheless, the Ram's reputation for tough, simple style and working ruggedness was earned in this period. Available as a D100 (later D150), D250, or D350 (the latter two models reflecting the equivalent of today's 2500 and 3500 lines), the original Ram used a wide variety of engines, and was available in many cab/bed combinations. 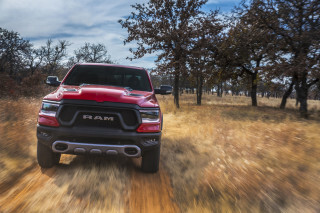 The second-generation Ram trucks advanced the range considerably, bringing updates to styling, powertrains, and capability—as well as the arrival of the current naming scheme: the Dodge 1500, 2500, and 3500. The Ram 2500, as pickup nomenclature suggests, was a three-quarter ton truck, available in either rear- or four-wheel drive. In 1998, the Ram truck line launched the first extended pickup cab with rear access doors, dubbed the Quad Cab. Most 2500s were Quad Cab models paired with the 6-foot bed (or "box"). This made the 2500 a large, heavy-duty truck surpassed in the Dodge Ram range only by the one-ton 3500. Second-generation Rams were built from 1993-2002 in heavy-duty form. A wide range of V-8 and V-10 gasoline engines and inline-6 Cummins diesel engines were offered over the second-generation Ram 2500's model run, ranging up to 300 hp and more than 500 lb-ft of torque. The Ram 2500's third generation arrived in 2002, bringing with it a new range of Hemi V-8 engines, Cummins diesels, and large-displacement V-10s. These engines, coupled with heavy-duty transmissions, gave the Dodge Ram 2500 the powertrains necessary to haul immense loads either in the bed or on the trailer hitch. 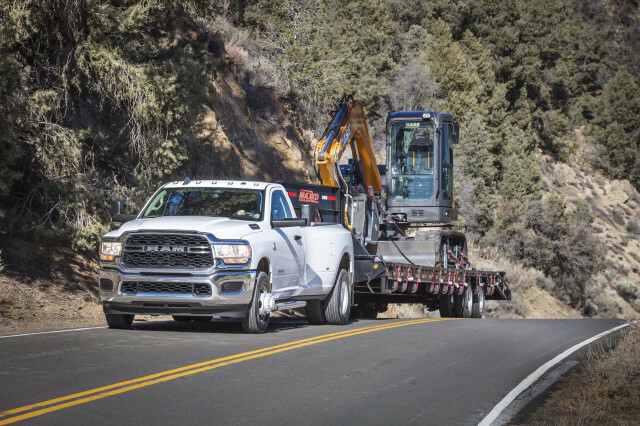 Upgraded axles and beefier chassis construction gave the Ram the structural load-bearing strength to match its powertrains. In 2010, the fourth-generation Ram truck arrived, and with it, dramatic new exterior styling. A wide range of cab, bed, and powertrain options were available, and while the Ram 1500 model saw a number of more car-like (or SUV-like) changes to its suspension and cab options, the Ram 2500 and heavier-duty Ram 3500 continued on with dedicated truck layouts under the skin. Along with the launch of the new Ram pickups came the spinoff of the Ram brand from Dodge. Rather than simply being a model name under the Dodge brand, Ram Trucks is now its own brand, so each fourth-generation model is properly called only by its Ram brand name and numeric model number, i.e., Ram 2500. The fourth-generation Ram 2500 offered a 6.7-liter Cummins I-6 diesel that joined the range in 2013, and a 6.4-liter Hemi V-8 in 2014. The base engine in the Ram 2500 was a 5.7-liter Hemi V-8, rated at 383 hp and 400 lb-ft of torque.